Tastes better, matures later and beats the cold. 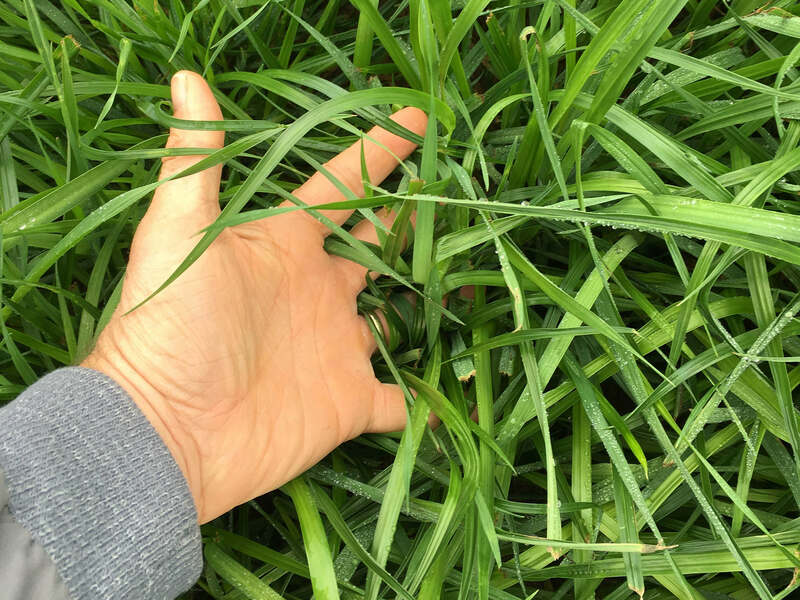 Meroa is a late-maturing, high-yielding true tetraploid Italian ryegrass. 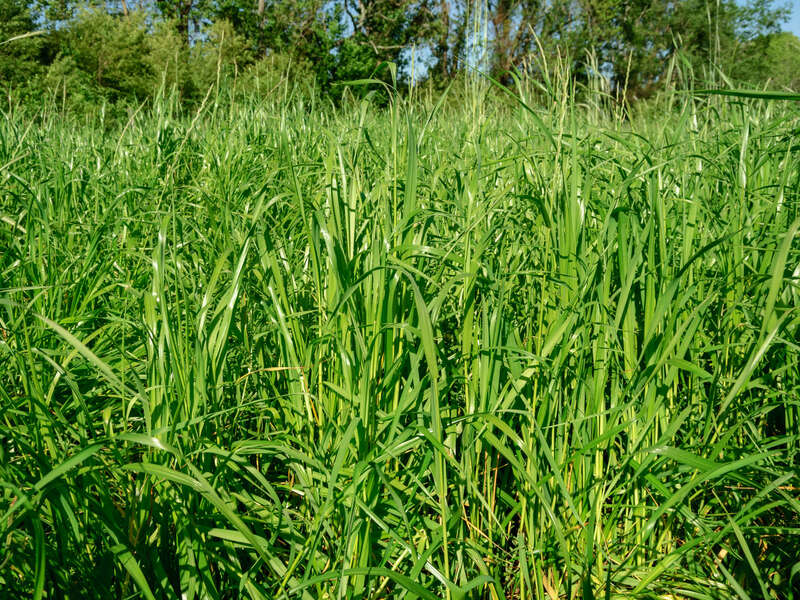 It has excellent forage quality, high yields and good winter hardiness. 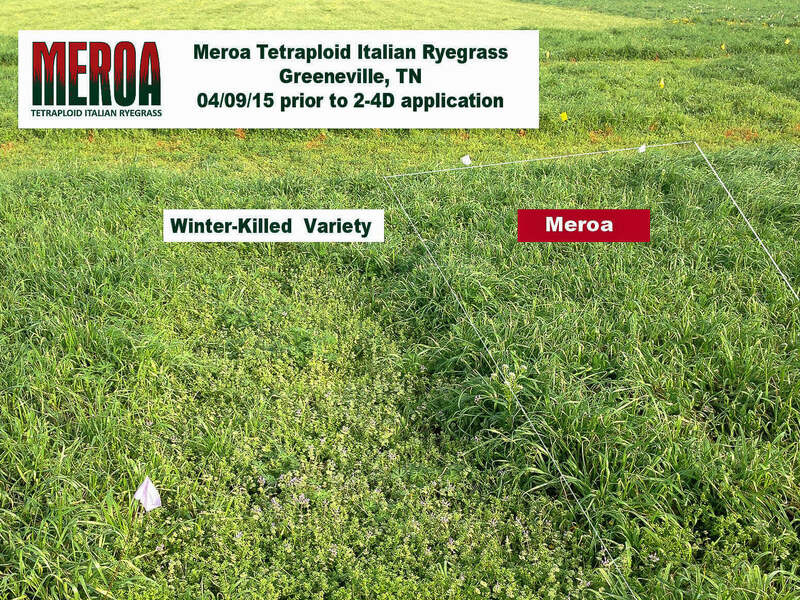 Meroa has all the great benefits of being a tetraploid Italian ryegrass. It’s got twice the chromosomes of a diploid ryegrass and unique maturing of an Italian ryegrass. 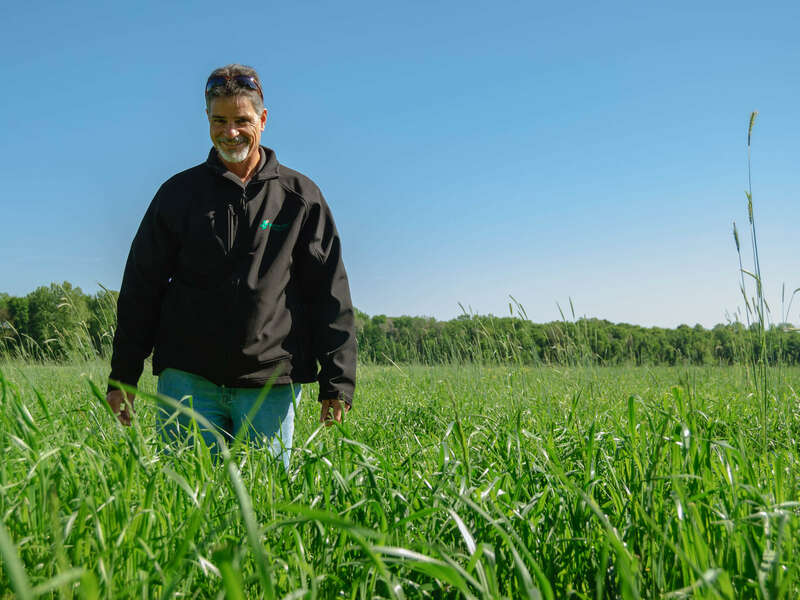 Meroa has demonstrated high yields when planted as a short-lived spring forage or a fall-planted forage. 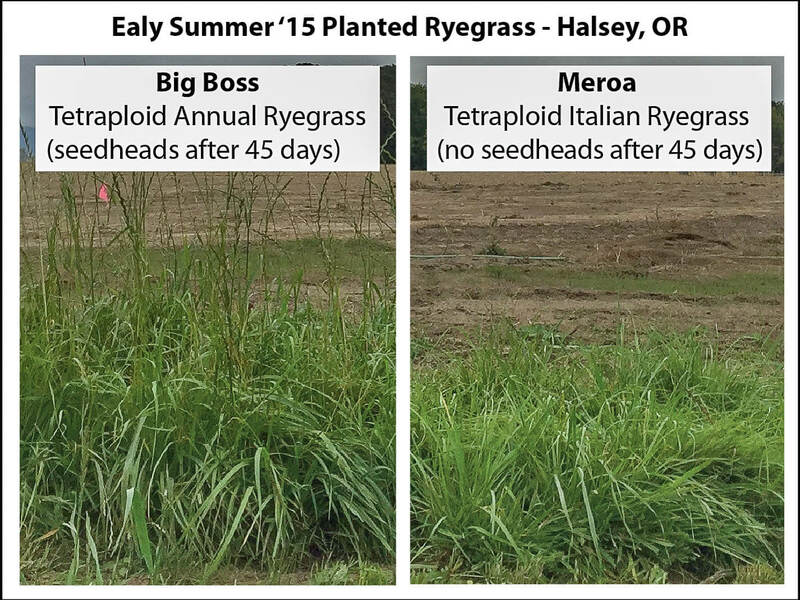 In multiple trials, Meroa shows the forage quality that you would expect from late-maturing tetraploid ryegrasses. 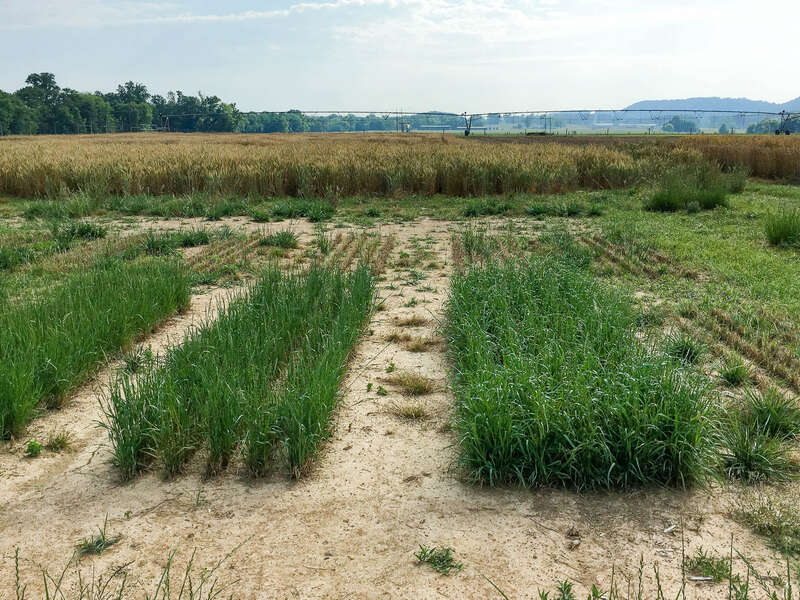 Meroa has outscored other varieties in winter hardiness trials. 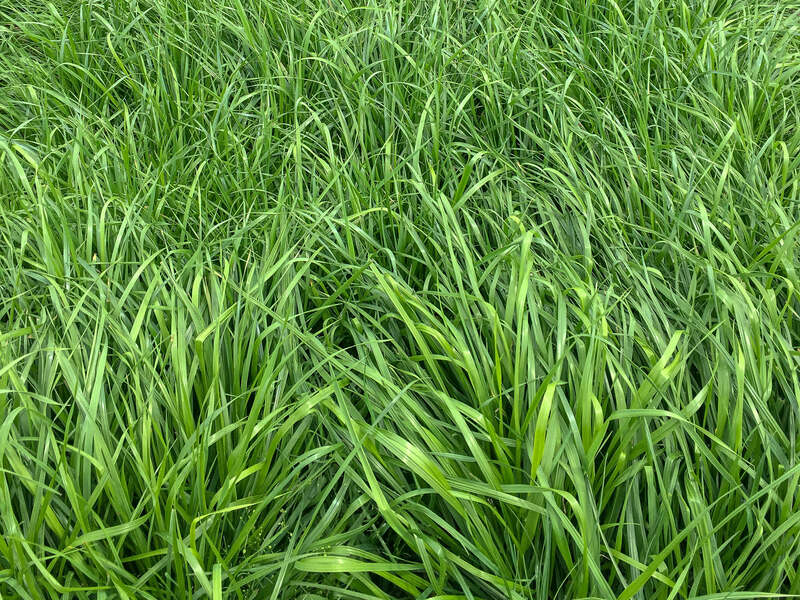 Meroa is a tetraploid ryegrass. This means it has twice the chromosomes as a diploid, higher sugar content, and big juicy leaves. 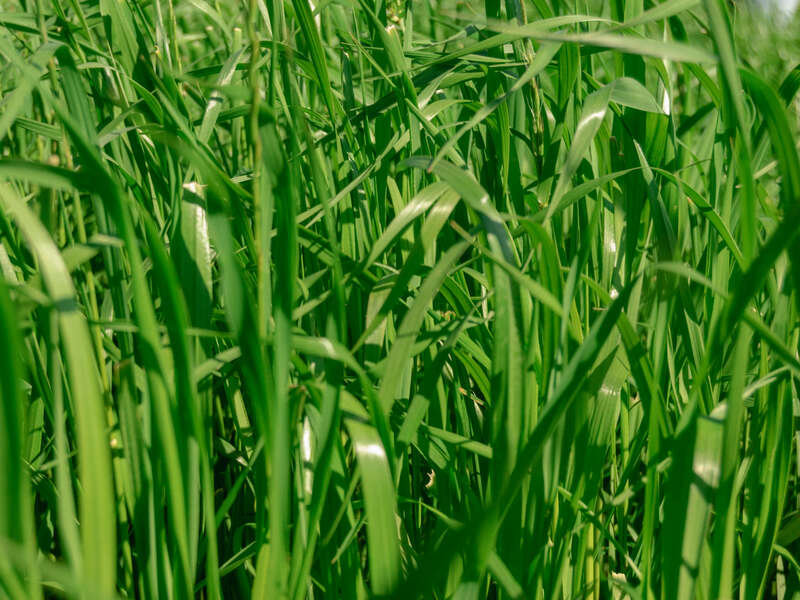 *This does not apply to warm-season climates where all ryegrasses burn out in the summer due to high temperatures, but is specific to regions where ryegrass can grow through the summer months. 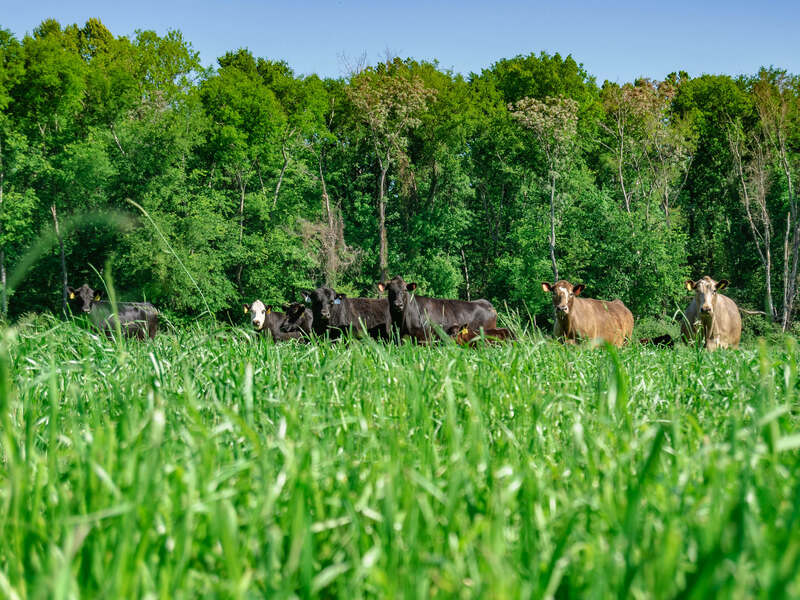 Tennessee – Forage evaluator David McIntosh commented that Meroa had 10% damage in all the replication and that it "did good considering the winter we have had" at their Greeneville, TN location. Ohio – At South Charleston, Meroa had nearly no winter injury and outscored 15 other entries. 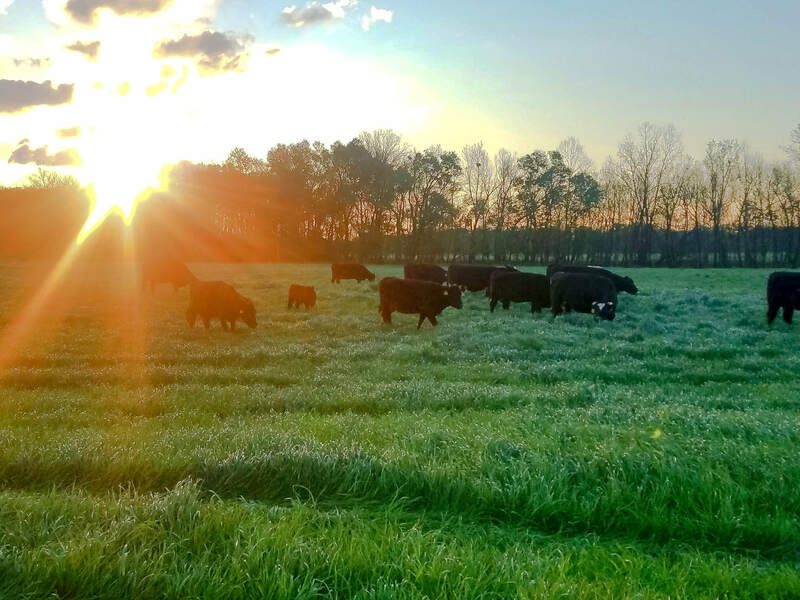 In addition to being utilized as a spring-planted short-lived forage, Meroa can be used as a fall-planted forage or cover crop grass. When planted in the fall, Meroa has exhibited excellent yields, including very strong late-season yields. Meroa produced 11,207 lbs DM/A over 4 harvests. This was the highest scoring entry out of 35 ryegrass entries. Of importance to note, Meroa's yields were also highest for both of the last two cuttings (April 8th and May 12th). Meroa had the highest last cutting yield in Poplarville and the highest combined last two cutting yields in Starkville, MS.
*Statistically equal to the highest score. Meroa had the highest final cut (May 26th) forage yield for 18 entries. 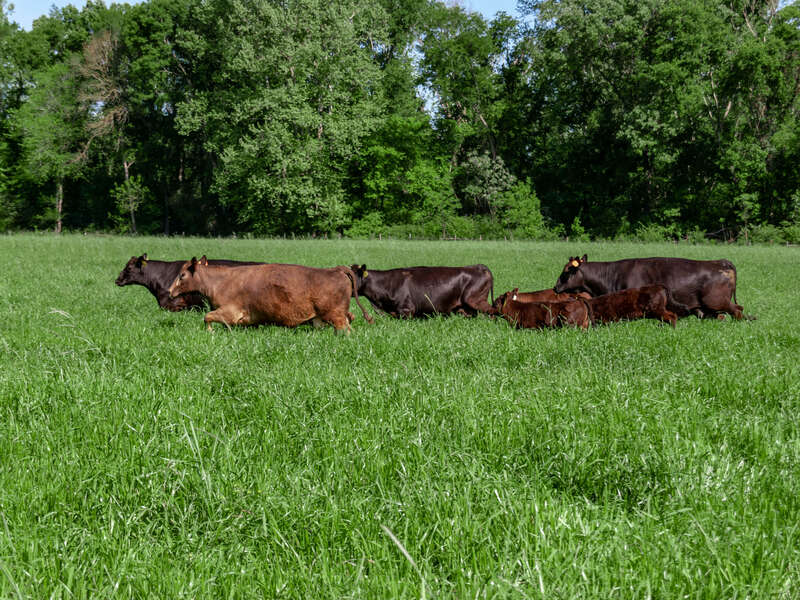 Total season forage yield was statistically equal to the top variety. &ast;Statistically equal to top score. 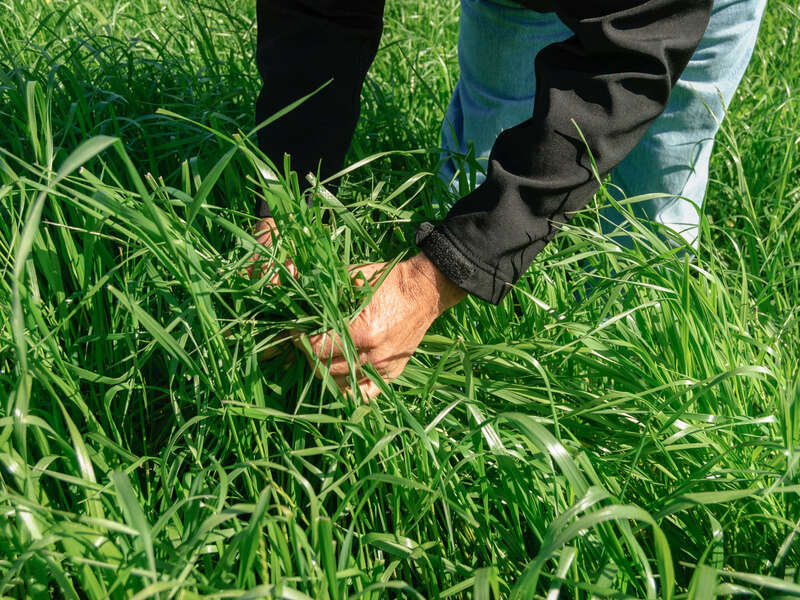 Meroa has the type of forage quality you would expect from a late-maturing tetraploid ryegrass. 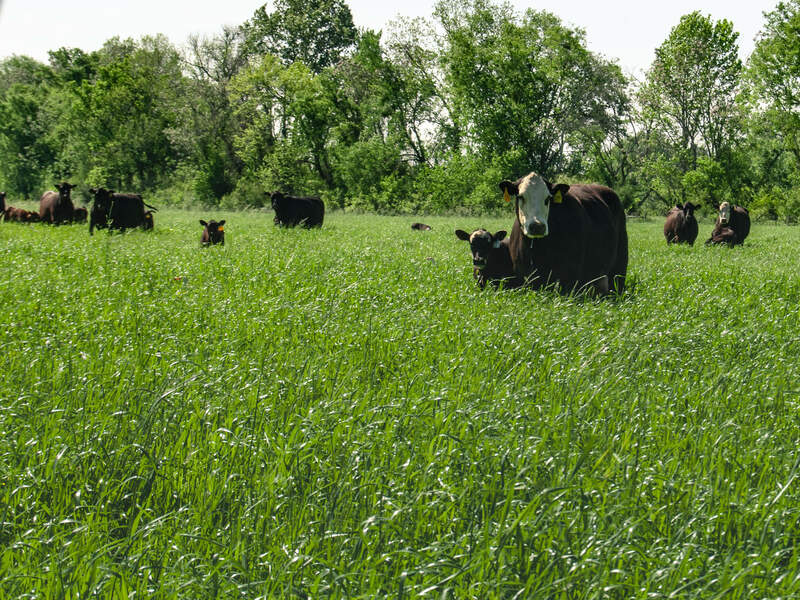 Forage quality samples have been taken in both 2015 and 2016 in multiple states. *Plots fully vegetative, but slow to grow due to late cold winter. ***Fiber higher here due to the end of the season seed head production. NIRSC equation for Grass Hay used on a Unity Spectra Star XL machine, database was updated in 2012 with ryegrass samples and these fit the statistics very well. Above are the means for the 3 replications for Meroa. How did you find out about Meroa?